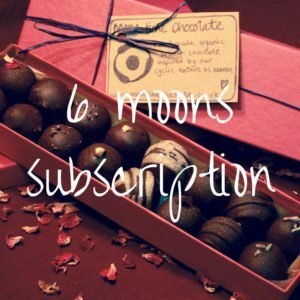 6 moons subscription of a little red gift box with 6 truffles in. Subscriptions are sent out around the new or full moon (whichever falls soonest after your order is placed ~ click here for moon cycle dates ~ unless you contact me to arrange otherwise). 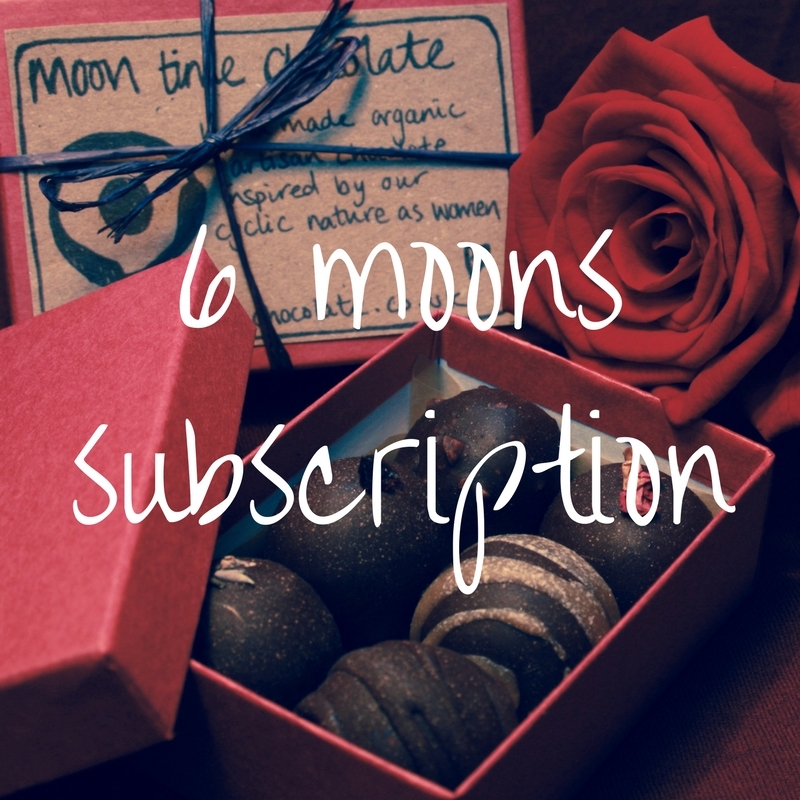 Price includes UK delivery for the full 6 moons subscription. Cost £54 ~ would cost £58.20 if you ordered individually. 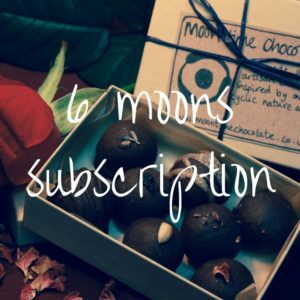 If you would like a custom selection ~ please use the ‘notes’ section when placing an order ~ otherwise I will make a random selection of 6 of the 8 truffles available. You are responsible for informing me of a change of address during your subscription. I will inform you when it is your last box so you can seamlessly renew your subscription. Select the ‘Free Shipping’ option when at the checkout.